The Satellite Diamond Vintage is an exaltation of the timeless, everlasting enchantment of the diamond, in a beautifully executed, quintessential emerald cut. There’s an intriguing balance in this inspired, unique asymmetric design: a breathtaking emerald cut diamond is countered by a sweet satellite diamond, both set in a shimmering surround. A compelling, sculptural form, with its myriad of intricate facets allows this stone to really perform, eternally dazzling, always enthralling. 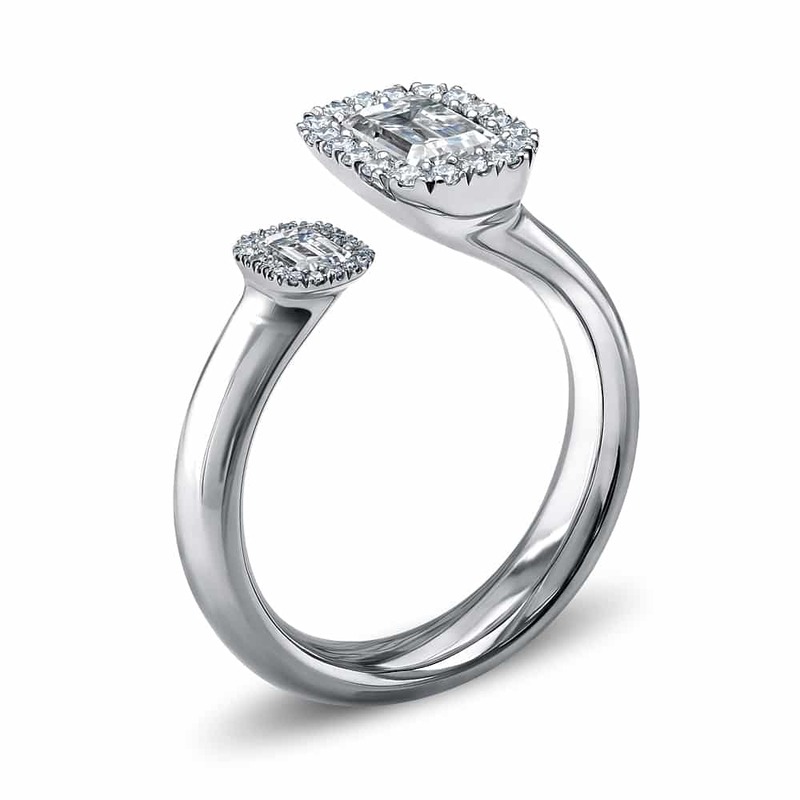 A wonderful, dazzling 0.75ct G VS2 diamond centre in the image, set in sparkling precious metal. Available in a host of gemstones including diamond, coloured diamond, sapphire and ruby, and in platinum or 18ct white, rose or yellow gold. 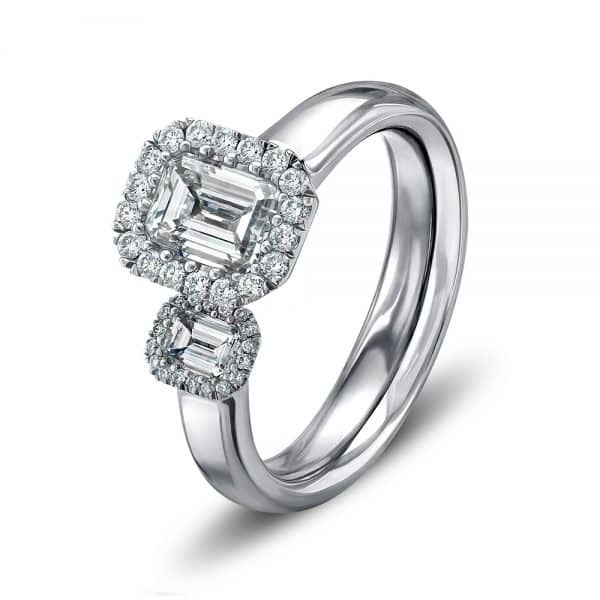 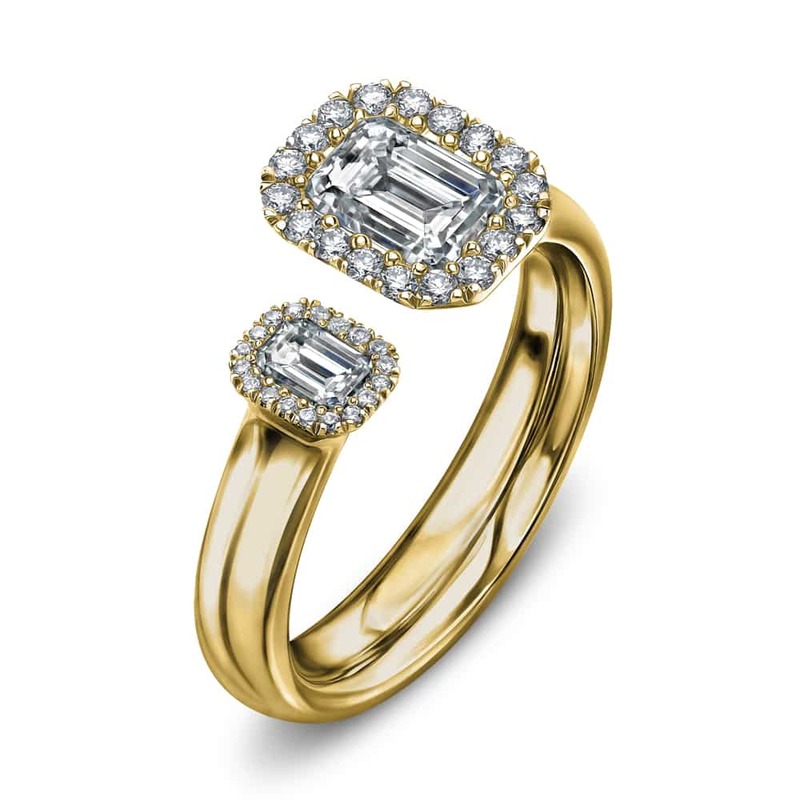 This style of ring can be adapted for all different sizes of emerald cut stones and is available with brilliant, pear and princess cut stones.